Becoming a Member of Heritage Trust Network allows you and your organisation to benefit from advice specifically tailored to your needs, networking events, special offers from selected professional services, and access to our NEW interactive on-line ‘Toolkit’ which will guide you through the different stages of a project. Soon we will also have a Talent Bank where we can help you find reputable and recommended companies to work with. There are three types of membership option. You can join us as a Start Up, Full Member or as an Individual. The support you need to get you started. Start Up membership is designed for unconstituted groups, individuals or local authorities who are considering setting up a trust to take on, or take over, a heritage asset. For individuals working in or supporting the heritage sector. If you are involved or working in the heritage sector, but not attached to a specific trust, you can become an individual member and benefit from networking opportunities and our guidance and resources. Targeting the needs of established trusts. Designed for constituted charitable and not-for-profit organisations, Full Membership supports you from the initial stages of a project through to operating your restored venue. Please see the table below for the benefits of each membership option. 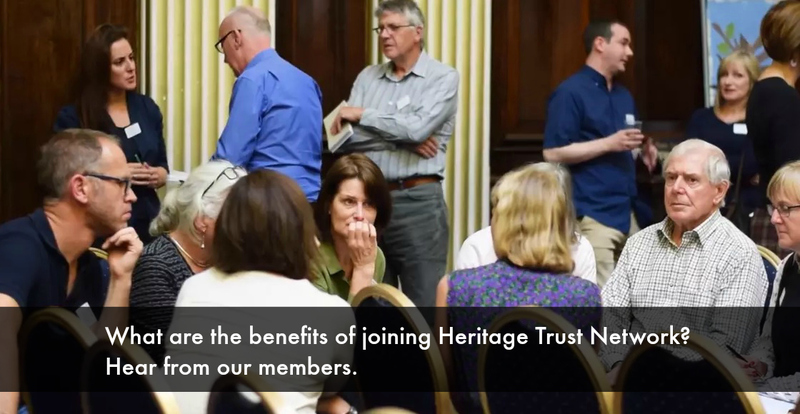 Watch a short film in which some of our members talk about the benefits for them of joining Heritage Trust Network. The Heritage Trust Network was founded on principles of mutual support and co-operation among its members and we ask all our members to read and follow our protocol.